Mutual funds are a vehicle for investing in a diverse pool of assets. Depending on the level of risk you want to take, building a portfolio of mutual funds with either equity funds or debt funds is advisable. This can improve your finances by improving returns, saving tax, helping you achieve your financial goals etc. Here are five ways in which mutual funds boost your finances. Unlike traditional investment avenues, mutual funds do not offer fixed returns. Mutual funds give you market-linked returns; that means if the market performs well, the returns will be good as well. This helps your fund grow quicker than it would have with just a traditional investment. 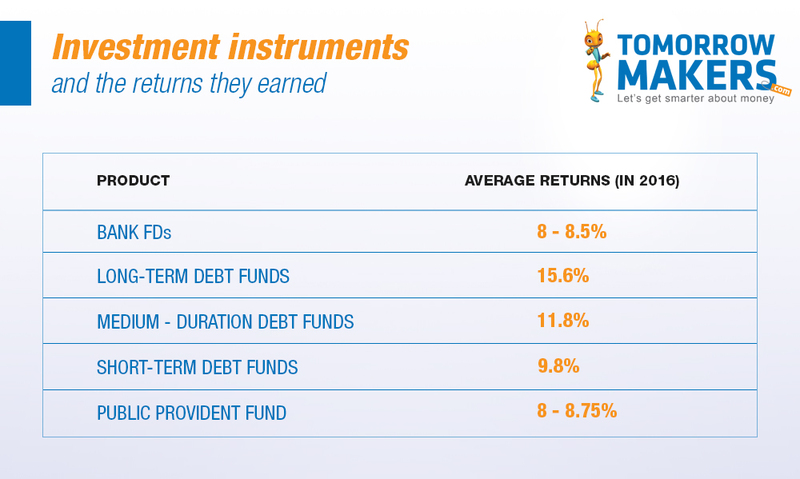 Market linked funds like ELSS, MFs and ULPPs offer returns as high as 25%, and are long-term in nature. On the other hand, traditional plans usually offer returns ranging from 8%-9.5%, which are applicable at the time of investing. There is a flip side to this, however. Since it is possible for markets to perform poorly as well, you could lose a part of your portfolio at times. Hence, it is important to stay invested over a longer period, and that you choose your mutual funds based on your risk appetite. Moreover, diversification of investments can help you spread the risk across sectors and caps . Even if you do not have a high-risk appetite, a mutual fund is a good investment option for you as it allows you to break up your investments into smaller funds with varying degrees of risk. You can choose to invest in cash funds, bonds, and equities. This will reduce the risk to your investment. Even if the markets fall, a part of your money will remain safe in debt and cash funds. If the markets perform well, then you will benefit as equity funds can fetch you high returns. 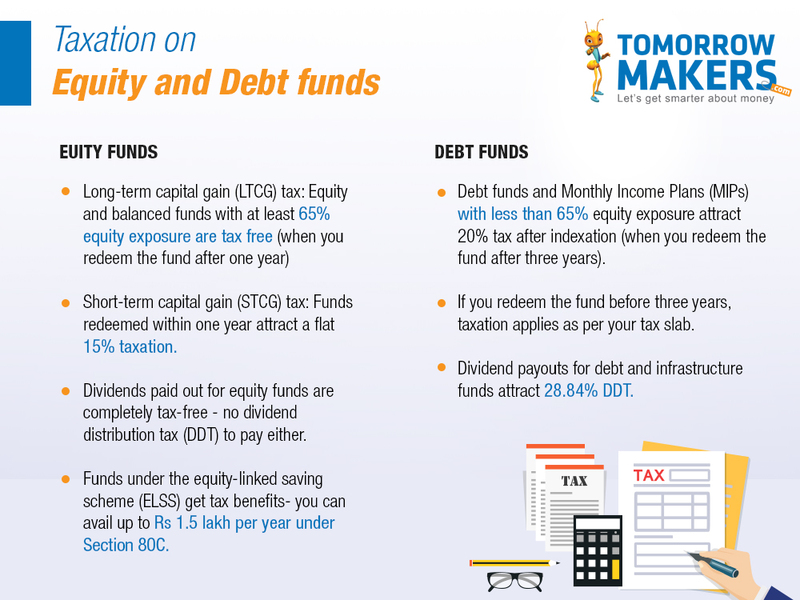 Mutual funds not only help to increase your wealth, but can also reduce the tax burden on your income. For instance, under Section 80C, you can get a maximum tax deduction of Rs. 1.5 lakh by investing in Equity Linked Savings Scheme (ELSS), which is a type of diversified equity mutual fund. Your financial goals are sure to change at different stages of your life. Mutual funds can help you achieve both, short-term and long-term financial goals, as there are different instruments that cater to varying needs. For instance, investing in bond funds makes an ideal choice to achieve short-term goals. On the other hand, long-term goals can be achieved through investing in balanced and equity funds, and cash funds are ideal for emergency or contingency funds. Fixed deposits (FDs) have long been India’s most trusted investment option. But take a moment to look at the returns. You will notice that debt mutual funds offer better returns than FDs. Aside from better returns, debt mutual funds can be more tax-efficient than FDs as well as you can avail the indexation benefit after three years. If you make wise choices, mutual funds can do wonders for your finances. Understand the funds and weigh them against your risk appetite. Make an investment that will be suitable for you.